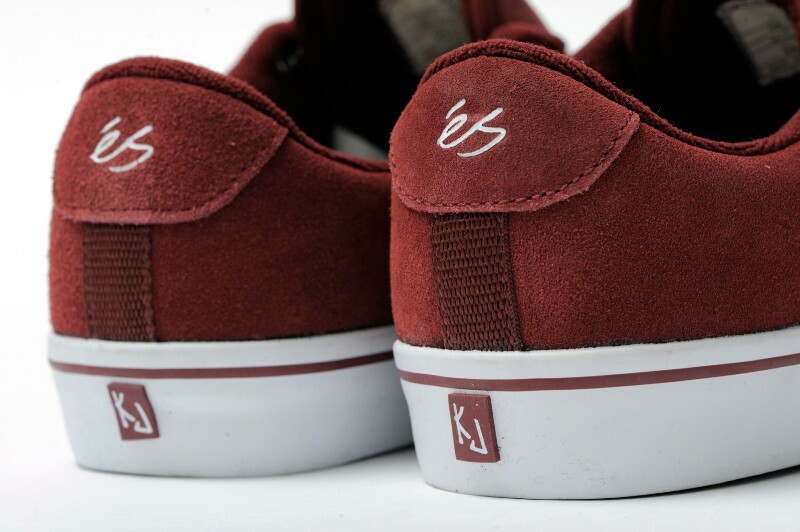 Pro skateboarder Kellen James collaborates with éS and SK8MAFIA. For the holiday season éS and SK8MAFIA Skateboarding have linked up with pro skater Kellen James for a capsule collection. 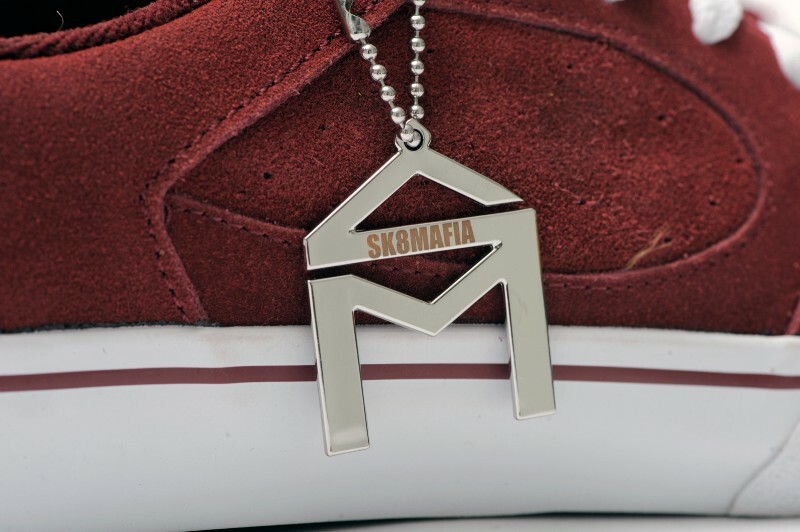 Included in the collection is the new éS Square Two shoe, a SK8MAFIA deck and a t-shirt. The prominent color seen throughout the collection is burgundy, a color that James names as his favorite and has integrated into his personal style for sometime now. Another running theme infused into the collection is the Dia De Los Muertos Virgin Mary graphic drawn by his friend Sal. 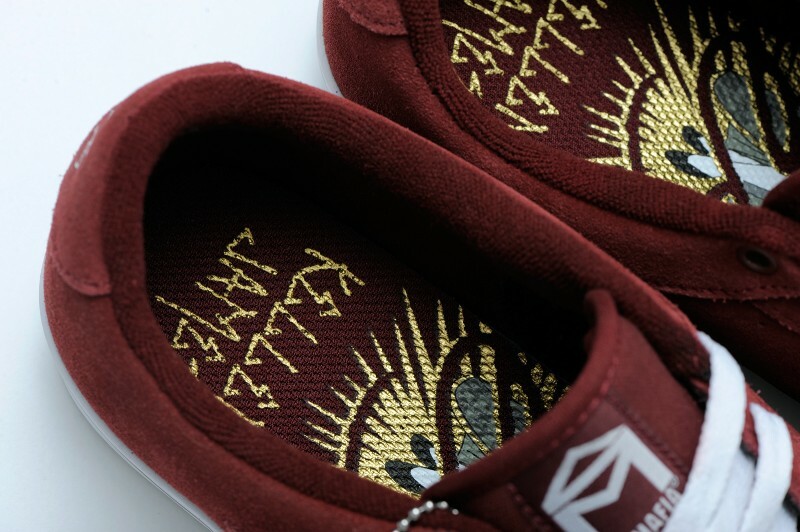 The graphic turns up on the footbed of the éS Square Two, the box art, skate deck and shirt. The shoe itself is probably one of the cleanest looking skate shoes out right now. The upper is donned in rich burgundy suede with a matching foxing stripe. 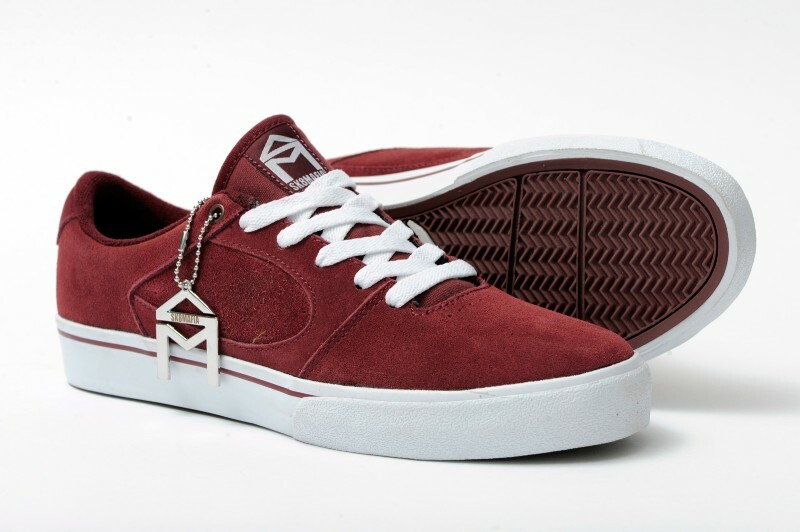 The vulcanized sole is done in white and finished with a burgundy underfoot. Hanging from the top lace eyelet is a silver SK8MAFIA medallion. You can pick up the Kellen James collection at select éS retailers. You can read an exclusive Kellen James interview about the collection and recent happenings in his life here.